Based on a manifesto he posted to the internet the evening before his assault, it is believed he was specifically targeting women, poor people, and people of color. A deeper dive into his public profile and social media shows a checkered past. He has expressed sexist, classist, and racist leanings for many years, although people close to Ryan say they did not expect him to act on them so effectively. Clearly a deeply troubled man, he has alternately blamed his actions on President Obama, President Trump, and God. Sources indicate he may be at least partially behind a conspiracy theory, widely circulated in certain circles, that the government has been secretly attempting to gain control of the wealth and guns of elderly Caucasian men, before castrating them. While some co-workers describe him as a passive man, colleague Maxine Waters calling him “spineless” and “gutless” for example, at least one co-worker, Joe Kennedy, was not surprised by the ferocity of his violent tear. Joe had in fact spoken up about concerns about Ryan’s recent behavior, describing it as being without mercy, and “an act of malice.” Had his words been heeded in a timely manner, many, many lives might have been saved. 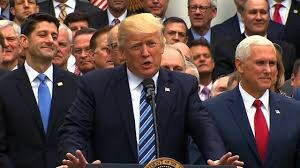 Recently Ryan had aligned himself with a local gang known as ‘The Freedom Caucus’ notorious for their longstanding feuds with the groups American Women and Thugs. A family member, speaking anonymously, expressed there had been an ongoing concern among those close to Ryan about what he might do under the influence of this group. 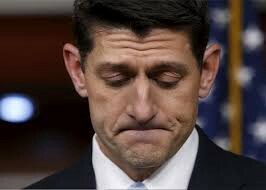 In an eerily prescient statement earlier this week, Ryan alluded to his coming actions saying “Let’s end this failed experiment.” If, as many believe, by “failed experiment” he was referring to his own career, he has certainly done that. Ryan was taken into custody shortly after the incident, and transported by bus to the big house, where he was given beer. Update: Not initially reported, Ryan is a Caucasian Christian, apparently radicalized as a child in Wisconsin through an organization called St. Mary’s Catholic School. Multiple sources have now confirmed that in addition to The Freedom Caucus, he also had connections to a radical Christian terrorist cell in D.C. comprised of lobbyists, CEOs, and other politicians, known as The Republicans. We understand a number of other members were taken into custody at the same time as Ryan, and a group mug shot has been released. We will continue updating as new information becomes available. Meanwhile the public has been cleared to stop sheltering in place, and take to the streets. Coach, Writer, Teacher, Mom. Focus: trauma and ptsd, queer parenting, autism, transformation, and now I guess politics.